Is There any Other Way to Lose Weight Than Diet and Supplements? Many of us consider weight loss quite a difficult and frustrating problem. Though, I really don’t know how it feels to be an overweight person, because I am actually an underweight, still I can feel the pain of being a “Fat” one. It really is not good for health, and especially, also not at all for looks. This “F” word makes you feel low, and even if you try hard to lose your weight, and don’t get any desired results, it becomes more annoying than anything. The answer to this Question is a big YES. There is absolutely a way to lose weight without using any medical product and diet plan, and that method is, “Metal Tricks”. Yes, you heard me right. The Mental Tricks help a lot in losing weight than any other method exists, because once you have made your body, you surely can reduce more weight than you can imagine. These tricks work for everyone and are very easy to follow. Feel that you are Fat! It may sound a little funny, but trust me, it is the best way to trick your mind that, you actually are fat, and you don’t look good in those over sized dresses, and you can sit comfortably in the bus, and you look weird when you wear a dress which shows your arms or legs. This way, you will feel guilty and automatically wishes to lose weight to look beautiful and slim. It is a perfect idea, because then you can work hard to achieve goal. This GUILTY feeling work wonders, and your weight loss results will be amazing. Become a Good Friend with Yourself! Yup! You heard me right. When you become a friend with your own self and trust no one but you, then you can achieve any height you can imagine. Weight loss is also a height like Mount Everest, and you can’t be at the top without working hard and trusting yourself, and you know, it is not possible to achieve your goal within a day. So, you must be patient, willing to work hard, trusting yourself, and motivated to attain the height, then you can surely lose weight and accomplish all your desires. “Slow and steady” is the key to success. Differentiate Between Good and Bad Food! Once you know, which food is good for your health and which you should not use, then all the problems would be solved. You must always eat what is good for your health, not what is tasty for your tongue. You must think about whether the food you are wishing to eat can help in losing weight or not. If not, then boldly say NO to that food. When it comes to knowing your body, most of the people fail. They don’t understand which thing is good for them and which is not. They eat everything they like and don’t stop eating when they shouldn’t even take a single bite. You must always ask yourself, whether you are hungry or not, and whether you need food at this hour or not. 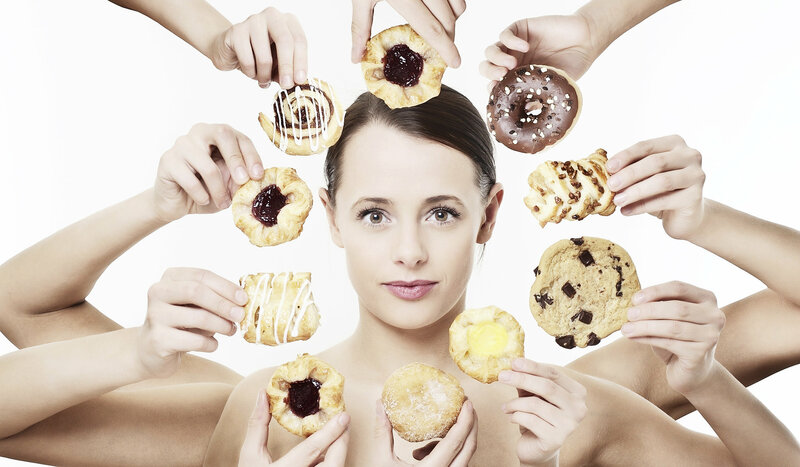 You must judge yourself for how much food your body needs at a particular time. You must not feel appetite when you see or smell a good food, when you are supposed to be not eating anything. You must have eating skills, for staying healthy. Don’t Care Too Much about your Weight! When you think hard about your weight, and don’t treat you body the way it must be treated, then you can’t lose your weight. You must know how to keep your health and body safe, the weight will automatically be reduced. Once you know what your body requires, and when it requires, there will be no chance for fat to store in the body, and the fat already stored, will be burnt down. But before all of this, you must keep it in mind that, losing weight is not everything, rather staying healthy is! Eating habits affect health a lot, and the most people can’t lose weight because they can’t resist food. It is not good for their health, and they must learn good ways to stop their selves to lose weight in a natural and easy way. Medical treatments are not always options to achieve some health goals, sometimes, some natural ways are way better than these procedures and tools.